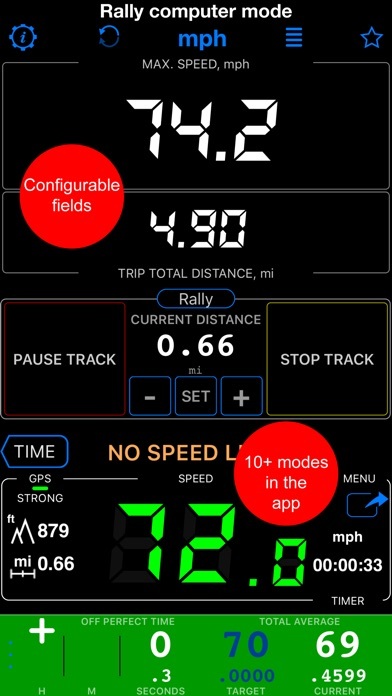 I use this App on an iPad Mini 3 on a Ram Mount on my Motorcycle. 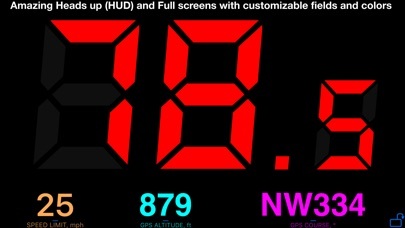 The Speed display is large an easily readable at a glance. I like that I can also have my iPod player on the same screen as the rest of my info and Speed. No fumbling between apps. The Full screen options, and the configuration options in general, are fantastic and lets you display the Data you want. 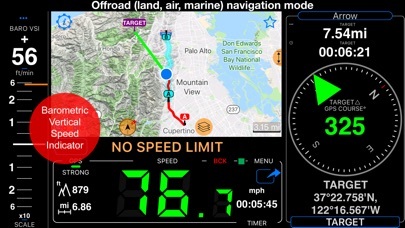 Compass, Altimeter, even speed limit presets that alert you if you exceed a certain speed! G-force info is neat too. 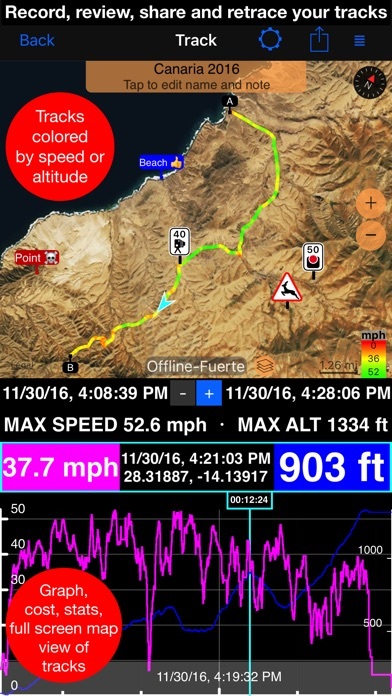 GPS options are very good, Waypoints, even a "Rally" Mode option and GPS "Black Box" for logging trip and location data. You can't beat this for $3.99 VERY COOL! Great UI and dev response!! By far the best car (dock) application available! Lightning fast response from the developer. Very friendly and glad to help. Looking forward to any improvements and future feedback. Great App the best App I have been across. It’s a unbelievable App it does weather,Plays Music, And has GPS,Maps And direction to your destination. I bought a motor scooter and wanted to see how “off” its speedometer was. Very, incase you were wondering. I also drive a school bus for a living. I spend a LOT of time on the road each day. I used to tour with a band, too. I have tried everything under the sun as GPS devices became popular just a few years back. I used to sell them when I worked for a major chain electronics store about a decade ago. Having said that, I just want to tell you this: I have NEVER IN MY LIFE seen an app with SO MUCH FUNCTIONALITY. 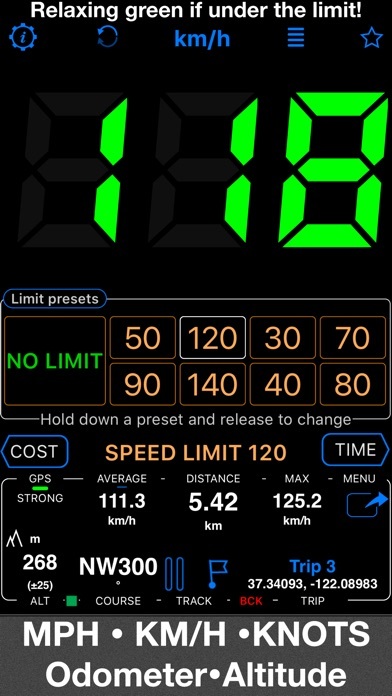 I got this app for the speedometer. I was impressed by the GPS Blackbox. 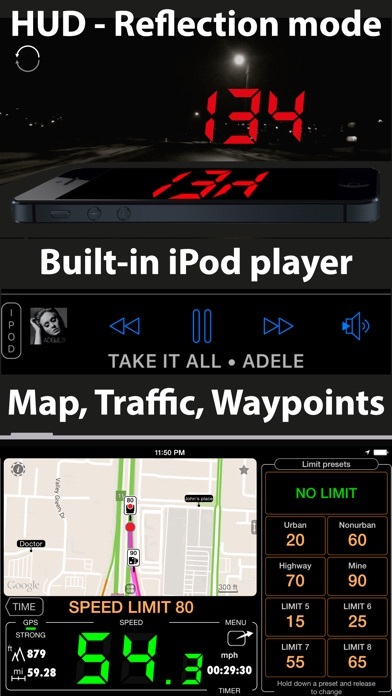 Then I discovered all the customization, the HUD display, the iPod control, the friggin’ Siri voice controls... This app has everything except a “lite” version of itself as a widget. I’m not complaining. 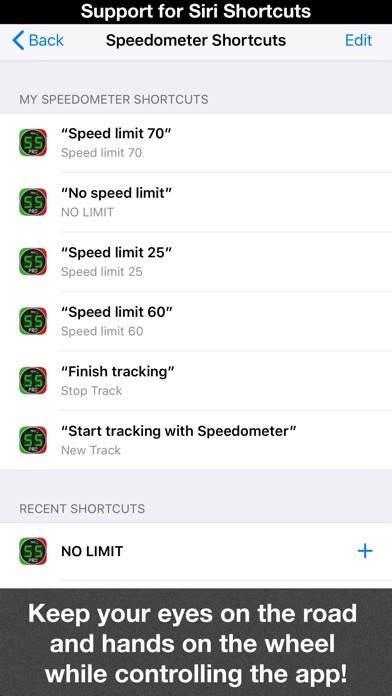 A widget would only tell you your speed, and you’d have to view it on your lock screen. This app, on the other hand, is designed for the user to leave it on and set it on your dash, or on a cellphone mount, and utilize it heavily. I could not believe all the extras in this app. You can see how high up in the mountains you are, you can monitor your G-force (gravity pressure) feedback in real time to see how many G’s you’re pulling when you floor the gas in your Ferrari (or when you hit the brakes), you can set one side of the screen as a compass, or a mini-map. You can have it walk you through “next waypoints” or have it monitor how much gas you’re spending as you fill up and drive on a trip. It lets you calculate your trip’s fuel expenditures. And then there is the GPS blackbox. It literally saves data of your speed from your driving. If a cop were to ticket you, you could mail yourself the data and print it out, take it to the judge and show them how fast you were going at what time. “Yes, your honor, I DID get up to 75MPH but that was much earlier, and at the time the officer pulled me over, I was only traveling 61 MPH. You can only ticket me for what the officer witnessed at the time on the ticket, legally.” Well, your lawyer can say that, lol. Anyway, all the functionality, I felt it was worth every penny of 3.99 for the pro version. Stan, if you’re reading this, you made one heck of an app, sir. Well done. The fact you reply to reviews with issues has further impressed me. 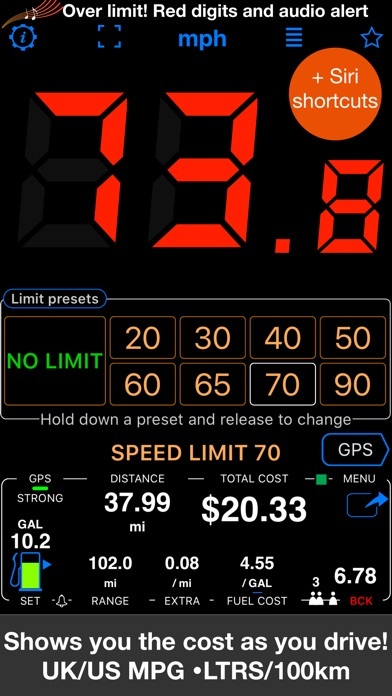 It’s apparent that this app is the GOLD STANDARD in speedometer apps. The fact you can try the standard version free is excellent. I bought the pro edition solely to support the app maker, because it’s worth every penny of $3.99! Everything I want is here. However the dark blue icons are sometimes difficult to see on black background. Love it and support is fantastic! This app does everything! It’ll be a great defense tool if you get an undeserved speeding ticket. Soon to be much better! Stan has a beta that adds even more features. This app has many useful features. 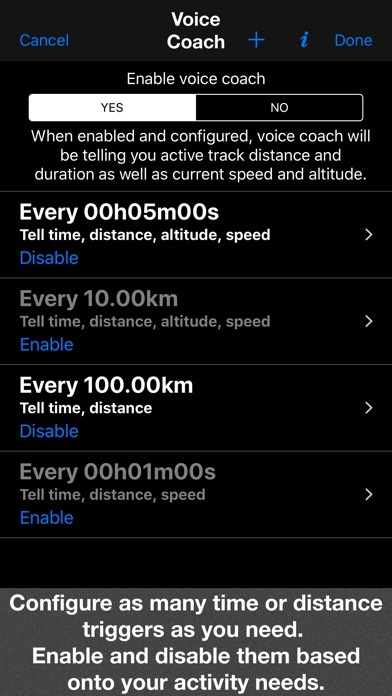 Easily switches from miles to kilometers (I regularly travel between the US and Canada) and records daily distance. I highly recommend it.